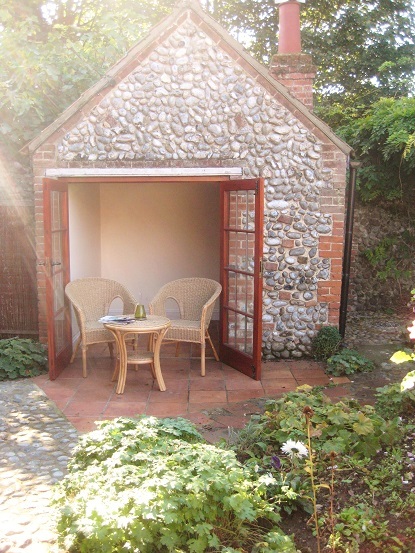 Located right in the heart of beautiful Blakeney, just two minutes walk from The Quay, Seaside House has been recently renovated resulting in a charming little holiday hideaway, with the benefit of a lovely cottage garden complete with summerhouse. Set slightly back from the road behind a low wall, Seaside House is a Georgian flint built cottage with stone quoins, once part of a larger property. 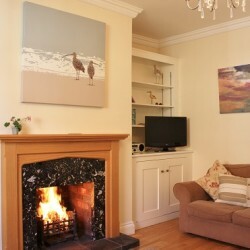 One enters a small hallway and then into the sitting room with its two matching sofas facing the lovely open fire; ideal for cosy evenings in watching the LCD TV with DVD. Through into the breakfast kitchen with a round pine table and chairs and country dresser. The kitchen is well equipped with new appliances including electric oven and hobs, dishwasher and fridge all built into the cream painted units. A latched door leads to the small rear hall with stairs leading up to the two double bedrooms and bathroom. Both cottage sized bedrooms are decorated in a simple country style with painted furniture and pretty curtains and the beds dressed in crisp white linen with soft white towels, complimented by pretty cushions and throws. The bathroom is fully tiled with a fresh white suite with shower above the bath. 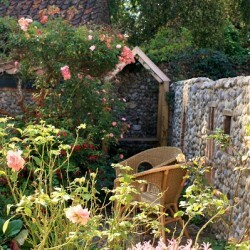 Seaside House is one of the few smaller properties in the heart of the village to have a private outside area and here the cottage style garden has old cobble paths, herbaceous beds and a pretty little brick and flint summerhouse furnished with wicker chairs and table – ideal for alfresco meals enjoying a glass of good wine from the nearby delicatessen! 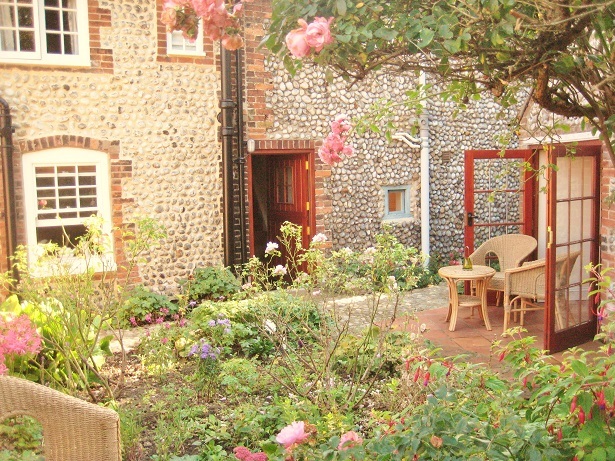 All in all, a lovely retreat conveniently situated in the sought after village of Blakeney. 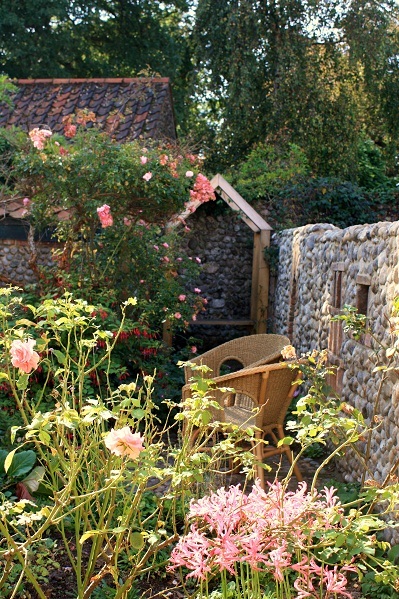 We are sure our guests will appreciate the owner’s efforts in restoring this lovely property. As with all our properties Seaside House is designated non-smoking and at this property dogs are not allowed.